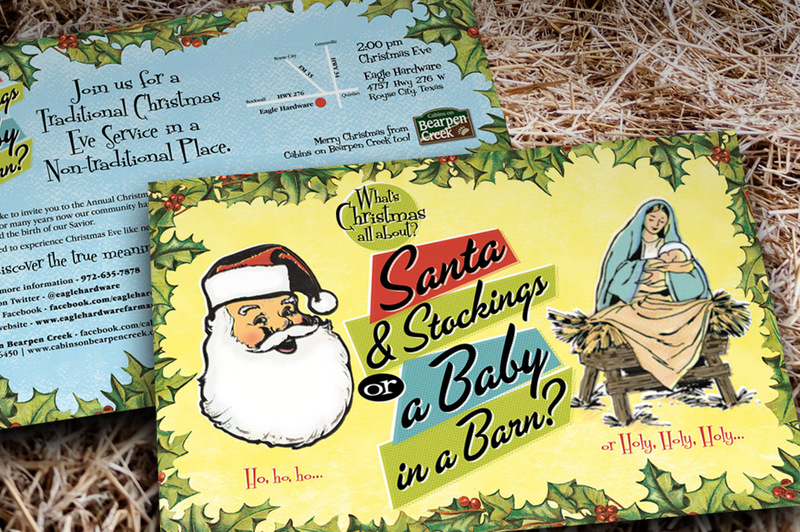 Here’s a look at the 2017 postcard and ad for Eagle Hardware’s “Christmas Eve at the Hardware Store” Christmas Eve worship service with their customers and neighbors. This year we wanted a warm, retro look so I took old clip art and colorized it, added fat halftones, mid-century modern fonts & design, and kicked it all slightly out of register. 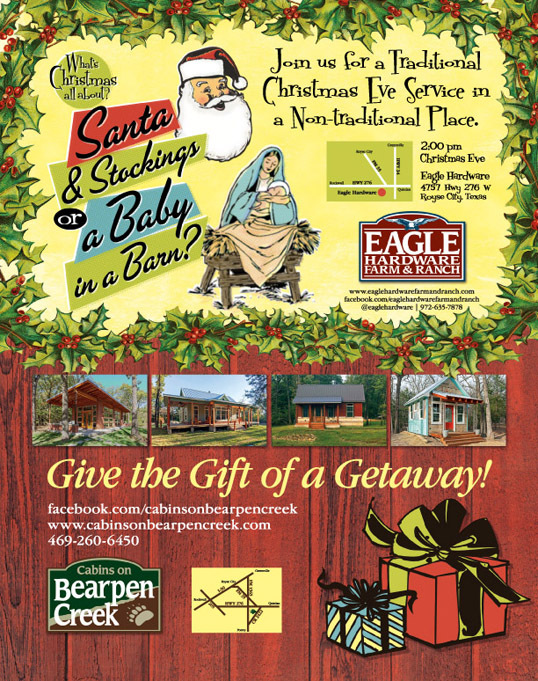 The magazine space also features our ad for their Cabins at Bearpen Creek rentals.